Radical Acceptance is the pathway to so much inner freedom that will become more and more inter-personal and relational freedom for just about anyone really. If you are on a recovery journey or a journey of on-going personal development, Radical acceptance can play a key role in learning and building skill at going with the flow in ways that are paradoxical. Ways that challenge, and ways that help you relax and lean into further or new emotional mastery. One of the most troubling aspects Borderline Personality Disorder specifically, as well as what results from trauma and sexual abuse and the like is a black and white, “all-good” or “all-bad” polarized way of thinking. Dialectical thinking systematically weighs contradictory facts or ideas with a view to the resolution of their real or apparent contradictions. Learning to see, understand and appreciate the very broad paradoxes life offers us more often than not and learning how to incorporate them into our thinking is a major difference between much mental illness and mental well-being. As we look to explore more about Radical Acceptance here it is helpful to begin firstly with some notion of paradox. 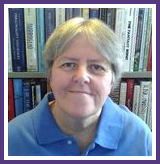 For those who have a personality disorder, Borderline Personality, have been abused and so forth, it can be especially challenging to consider radically accepting what you may well, up to now, have simply been unable to even imagine tolerating. This can be also similar for those without this or any specific diagnosis but who are nonetheless on their own personal development and/or change journey toward identifying and then achieving a positive inner attitude of gratitude that makes embracing any pain on the road to the changes you want so much more understandable, meaningful, and often difficult to bring totally to your conscious awareness. Radical Acceptance requires that you change the direction that you allow your mind to go in. It requires that you accept that you have the ability to act with the power of choice and that most things we think and do are choices. Practicing acceptance, actually being accepting of whatever is, is a choice. It is a choice that brings with it emotional freedom. It is a choice that replaces chaos and suffering with manageable pain and in time, peace of mind. 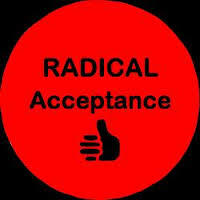 Radical Acceptance practice allows us to unearth the very root causes of so much of our emotional angst and suffering. Radical Acceptance is a way of saying yes to each and every moment mindfully. If we can radically accept that we won’t always be accepted or liked by others and that life is full of challenges, for example, we can clear the pathway from the power of rejection and negative experience and/or thoughts and how we may have experienced them as severing our belonging. We can then make way for much more positive thoughts and feelings. Rejection or any other defined negative experience only has the power that we continue to give it. Radical Acceptance, in essence frees us up emotionally in reassuring ways that allow us to take back our personal power, or to not give it away to circumstance and whim anymore. Practicing Radical Acceptance will, as Dr. Wayne Dyer, talks about in his book, Your Sacred Self enable you to become more in tune with your “observer self”. It is from this “observer self” that one can begin to see things much more clearly. You can merely observe and accept whatever is. You don’t have to react to it. You don’t have to interpret it as “good” or “bad”. It can just be and so too can you just be. Just be with it, whatever, it is. Radically accept it. By doing so you will be exercising the power of your “observer self” and as a result you will be able to choose to stay in a calm and peaceful state no matter what emotions you are observing and/or feeling. Your “observer self” does not do anything with the emotions that you feel or that are at hand. They are just observed as existing. No more and no less. Literally, using radical acceptance, through your “observer self” will gift you with the true “power of now” (Eckhart Tolle). The power of now is the inherent reality that willfully we can experience whatever the now has to offer us through observing and radically accepting without interpreting or taking any action whatsoever. This is freeing. Learning about, reading about, and then beginning to practice Radical Acceptance is a crucial aspect of learning to find, know, and continue to develop your authentic self. Radical Acceptance, in my experience is like a pause button on a VCR, it gives you time to experience things that you otherwise wouldn’t. These experiences over time begin to be life-changing. These new experiences, even seconds at a time will open small new windows for any and all who have become enslaved to the repetitive and self-defeating worry thoughts and cognitively-distorted beliefs of his/her false self. It is important to not have your sense of self dependant upon the content of your mind. Living merely at the whim of each and every thought denies your soul room to be and to breathe. We are much more than our minds. In fact, as Tolle points out in his book, The Power of Now, our minds our tools that we have at our disposal for specific tasks. Like any tool, a drill or a screwdriver, which we put away after we are finished using it for a specific task, we also need to lay down our minds from time to time. We no longer merely think, in this day and age, but we are actually more often than not, addicted to thinking and to processing information. We are addicted to thinking as a means of escape and also because we have identified ourselves with our thinking. We are much more than we think. This ghost-self that is addicted to thinking is the ego. To the ego, of which the false self is king, the present moment rarely exists. is the spiritual aspect of who you are — your soul. If we are able to be fully present through radically accepting what is observing things such as our inner-body, our thoughts and feelings, events around us, surrender from a place of loving kindness and forgiveness and understanding and be a witness to the unmanifested of each moment we will be open to the ever-transforming reality of the power of now. Radical acceptance means that we have to consciously choose to be aware in and of each and every moment. We need to be willing to choose to accept what is. Willing to surrender our wilfullness. Wilfullness is what often leads us to choose to deny what is and fight it with illogical thoughts, worry, anxiety and the like. It is not a fight that we often win really. Not accepting what is causes a tremendous amount of anxiety and worry and traps you in your suffering. Even if we have pain, accepting it and not fighting it can keep our pain from turning into suffering. There is a difference between pain and suffering. Most of us don’t realize how much of our thinking is narrow, black and white, at times, and also very repetitive. Not to mention, often, negative and protective, often without cause. These kinds of thought patterns are always destined to give us similar feelings. Feelings that create anxiety and worry and leave us fearful and even angry. Feelings that, if acted upon, often produce very unwanted impulsive self-defeating and regrettable behaviour. So much of what can be ruminated about and dwelt upon is what produces most of the anxiety and worry that many are suffering with and from. You can choose to stop it. You really can. By staying in the moment, being mindful, and radically accepting whatever is you can eliminate the ruminating and the need to worry and react in anxiety-producing ways. So much worry and anxiety originates with “what-if” thoughts or thoughts that build each feeling into a catastrophe of sorts usually with very dramatic reaction. If you make a choice to accept what is in the unfolding moment, mindfully, one moment at a time you can spare yourself the suffering from these cognitively-distorted anxiety-producing thoughts. Radical acceptance does provide emotional freedom. It does this by freeing up our minds long enough with new information and possibility that we see that ruminating, dwelling on thoughts and worrying about things past or future robs us totally of every here and now unfolding present moment. Life lived mindfully, with radical acceptance of all that is in each and every unfolding here and now moment is manageable and transforms endless suffering into manageable pain and in time, into a greater more stable and consistent peace of mind. When you radically accept something as being just as it is, no matter how initially undesirable the thought, emotion, or reality might be, you are freeing yourself to be able to, over time, cope much more effectively because you will be at the root of what actually is and not responding to how things appear to be or how you wish things were. It is very important to work at tolerating the thoughts and feelings that you may have, for so long, felt very adverse to. Radically accepting them gives you an opportunity to get to know them in a new and more productive and manageable way. You will come to gain more insight into how you think and how that leaves you feeling by accepting what is and allowing yourself to equally accept how what is really feels without trying to deny it, push it away, mask it and/or escape from it. Radical Acceptance unleashes our potential to experience the power of each and every now. It gives us an wonderful opportunity to experience more of what is, as it is and to learn to not react to anything and everything out of faulty thinking or faulty interpretations.